Anime Boston 2016 happens this weekend at the Hynes Convention Center starting Friday March 25th and this year’s theme is “Field Day”, inspired by an annual intramural competition event that often occurs in Japanese schools. Anime Boston previously had a general “sports” theme for 2005 and so did Fanime in 2012 but both conventions lacked significant programming around that theme in those particular years. 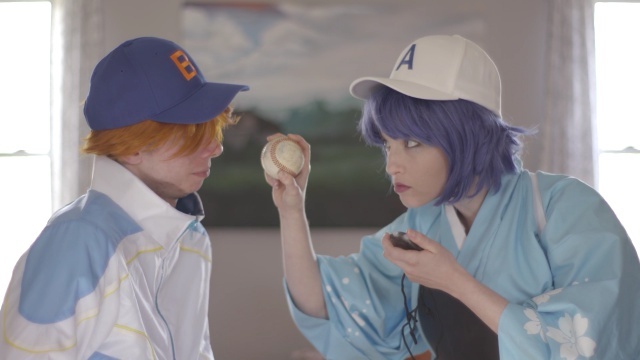 The convention’s official YouTube channel has a number of videos showing its mascots (A-chan and B-kun) participating in various activities, some in wackier ways than others. I counted at least ten different sporting-related panels & programming items on this year’s schedule — I’ve listed them below with scheduled times, descriptions, and locations — and there will likely be a number of cosplayers and fan artists showing their love for recent series involving fictional athletes. I hope those planning to attend the convention have a safe and fun time there and in the general Boston area!